First GOP Health Bill Fails, But the Senate Push to Destroy Obamacare ContinuesNine Republicans voted against the bill McConnell crafted in secret, but they may wind up supporting whatever he comes up with next. 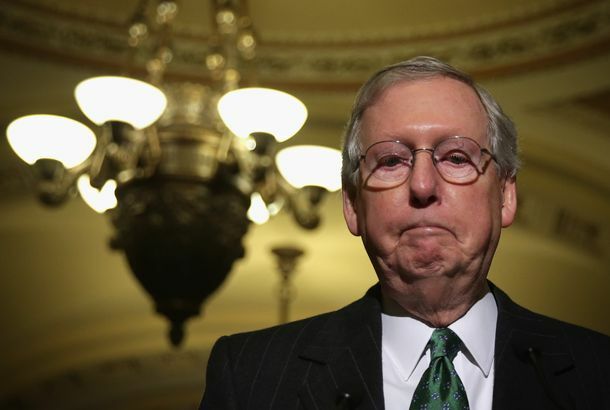 Trumpcare As We Know It Is DeadAfter two more GOP defections, McConnell said his bill “will not be successful” — but Obamacare is still in danger. Tom Price on Health-Care Bill: Up Is DownThe Trump administration gets Orwellian in its efforts to repeal Obamacare. Republicans Need to Pass Trumpcare to Appease Their Donors – Not Their VotersA new poll finds that only 10 percent of Republicans want a less generous version of Obamacare – but Mitch McConnell is trying to pass one, anyway. Democrats Are Resisting Trumpcare, Though They Can’t Stop It on Their OwnSenate rules don’t give the minority party much power, but they’re demonstrating to keep the pressure on their wavering GOP colleagues. 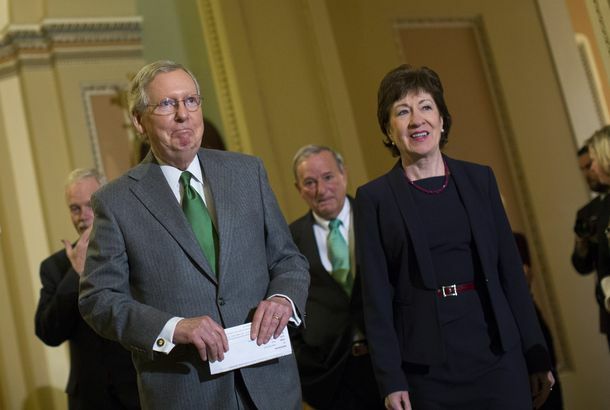 Obamacare Repeal Stalled After GOP Senators Reject Current BillFollowing the CBO report, four Republicans said they won’t even let Mitch McConnell’s bill be brought to the floor for debate. The Senators Who May Kill the GOP Health BillRepublicans are laying out their demands, and it’s hard to see how both moderates and conservatives can be appeased.